Investigating, creating, protecting, and commercializing research and intellectual property (IP) is a means to benefit the University, the research and academic environment, and the State of Texas and its residents, as well as researchers and business partners. 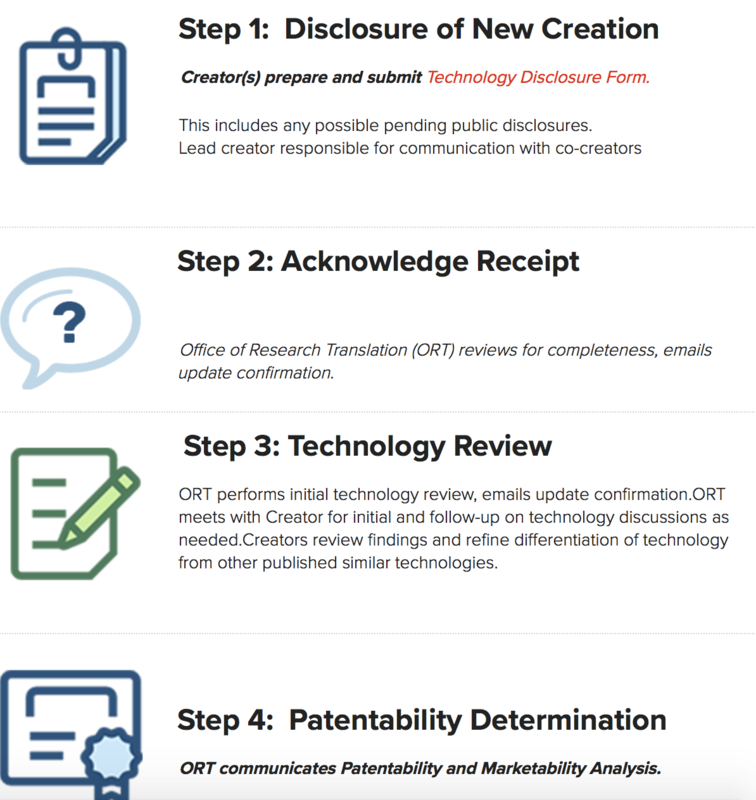 The process for developing and moving a new technology out of the University and into a commercial product requires input from both intellectual property (IP) and business professionals. This process is iterative, and success requires the creator’s involvement well beyond the lab or workstation. To accelerate the transition of IP from the University to a product, UTRGV's Office of Research Translation (ORT) assists faculty, staff, and students through this process to enable industrial research partnerships, IP management, proof-of-concept development, new venture incubation, and entrepreneurship training. Review the different types of agreements, such as non-disclosure and intellectual property license agreements. Other agreements, such as sponsored research agreements, grant agreements, or memoranda of understanding may have provisions in them that have to do with intellectual property, and the Office of Research Translation should be consulted on those provisions. Translating your research into a product that benefits society both fosters recognition of your research efforts, and provides economic benefit to the community. Collaboration with industrial partners may result in financial sponsorship of additional research or outside consulting. You receive a share of the monetary compensation received by UTRGV from licensing. Collaboration with industrial partners may also support your students, provide them invaluable experience, and give them potential future career paths.